to anyone who has read this blog before, it may seem like i'm the type who pretends to like super healthy food ... but in reality, would choose a rather sizable bowl of vegan macaroni & cheese before a salad. while that is sometimes the case ... i actually do love a simple, light & healthy plate. i was recently wanting just that ... so i turned to an old favorite (that i somehow have not written up yet!) : bountiful eatery in lakeview. 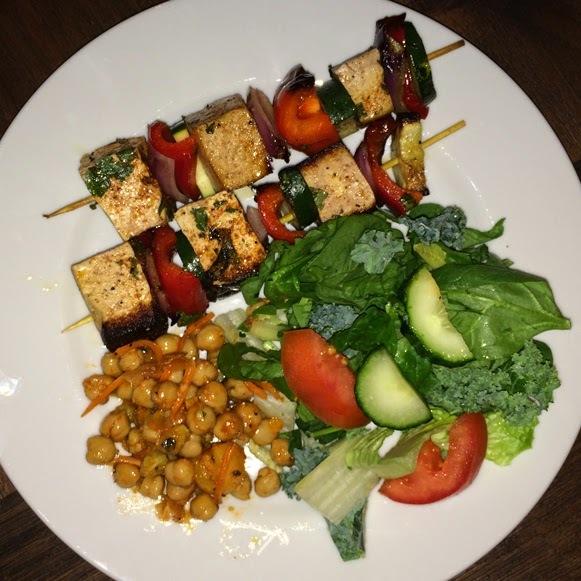 about this lovely joint : "bountiful eatery is dedicated to the need for healthy & delicious gluten-free foods while maintaining delectable tastes." perfect. tofu, zucchini, red bell peppers & onions, marinated in fresh herbs & olive oil. chickpea salad & side salad. one word : obsessed. i know what you are thinking. "halley, this looks so simple. can't you make it yourself." why yes, dear reader. i probably could. but here's the thing. i don't want to. i just want to order the food & have it show up at my house in it's completely prepared perfection. i didn't realize at the time that the desserts would be from swirlz, but that's okay. because i know already i love swirlz cupcakes. i had never had the brownie ... which, holy yum, was amazing. not sure how the fine people at swirlz make their sweets so freaking delicious. but they do. and we should all be grateful for that. 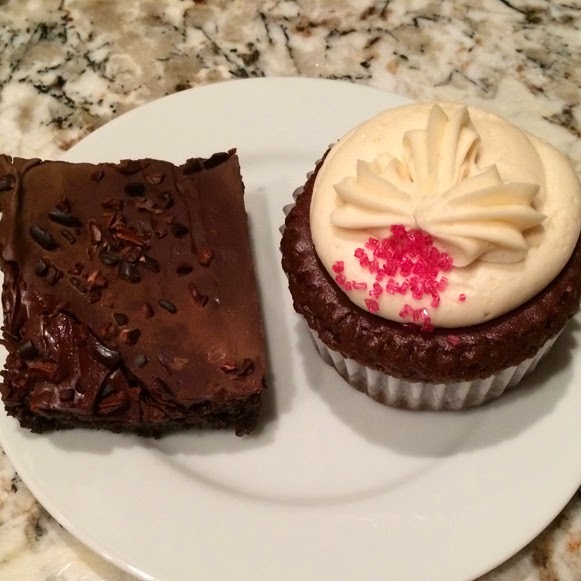 in summation -- bountiful eatery is a great place ... lunch, dinner, dessert -- whatever. check them out.